The state of Nevada has continued to attract different visitors yearly and this can be hugely attributed to the several tourist attractions in Nevada. The state is famous for its gambling and entertainment and most people do not even know that there exist some other attractions that will amaze any traveler. So if you are planning on visiting Nevada for vacation any time soon, below are some of the top tourist attractions in Nevada you should check to ensure your vacation is a complete and fun filled one. Listed in no particular order are top 5 tourist attractions in Nevada. This museum is located in Reno, south of Truckee River and nests cars that have rich history that can be traced back to the 19th century. 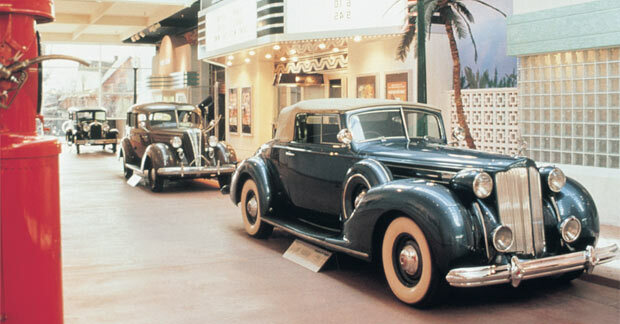 Most cars in the museum were donated by the famous William F. Harrah, a casino owner and an automobile lover. Cars that can be found here include the V -16 Cadillac, a Jeep with a Ferrari engine and a 24 karat gold-plated DeLorean among others. The museum opens Monday through Friday and adults pay a token of $9 to gain entry while children between ages 6 and 18 pay $3. It is free for children under 5 and seniors are to pay $7. This is one of the major tourist attractions in Nevada. It is the second largest canyon in the world with a depth of about 6000 feet and having 800 million gallons of water flow through it every hour. It houses about 88 species of mammals, 25 reptile types, and over 250 species of bird. The Grand Canyon was made a national park in 1919. It is a major destination for persons that want to learn about nature, culture, history, and science. Activities such as rafting, hiking, and search for rare birds can be done. This is the largest reservoir in the USA and can be as long as 112 miles when in its full volume. It is about 500 feet deep and has around 550 miles of shoreline. Located about 24 miles from the Strip southeast of Las Vegas, tourists have their hands full with several amazing activities on their visit to the lake. Boating, fishing, water skiing, sunbath, and swimming are some of the many things to do on your visit to the lake. This is a street rich in culture and history and dates back to the year Las Vegas was founded – 1905. It is famous to be the street with many “firsts” as far as Las Vegas is concerned. It is the first street to be paved and also the first to have a traffic light. Wayne Newton is one of the famous singers to grace this city with over 50 years of performance in the Golden Nugget after it was opened in 1946 and Newton started singing at the Fremont Hotel in 1959. What are the attractions and major activities to partake in? Free live entertainment, intimate party atmosphere and several great casinos are some of the attractions to watch out for. Nevada cannot be fully discussed without a mentioned of this place – the Las Vegas Strip. With over 37 million visitors yearly, this can be said to be the major attraction to Nevada. The strip is host to the world’s largest hotels and is the brightest city on planet earth when viewed from space. The city that never sleeps is host to such activities as gambling, shopping, photography, drinks, and nightlife. These are just some of the tourist attractions in Nevada and a visit to this state is sure to wow you with every second spent.